Chet Harmer was born in Torrance, California, but due a change in his father’s employment as a manager with the J.C. Penney Co., he moved with his family to Brigham City, Utah when he was three years old. He then moved to Provo, Payson and Layton, Utah; Rock Springs, Wyoming; and Twin Falls, Idaho. After his freshman year at BYU he served in the Eastern States Mission which at that time covered all of New York and parts of Connecticut, New Jersey and Pennsylvania. He then returned to BYU and finished Bachelors and Master’s degrees in Accounting. He and his wife Marilyn together have six children and 17 grandchildren. After completing his formal education at BYU he moved to San Jose, California where he has lived for the past 45 years. The first half of his work career was spent in various financial positions with firms such as KPMG, American Microsystems and Hewlett Packard. While at HP he was introduced to an approach to improving the operations of an organization. He found that he liked doing this type of work and decided to become an operations improvement consultant. During the second half of his career he worked for the clients of Coopers & Lybrand and Pivotal Resources doing improvement work: some of whom are the State Government of Arizona, General Electric, Cisco Systems, Adobe, Adidas and the Alberta Canada Health Care System. Chet has been involved in the Silicon Valley Chapter of the BYU Management Society from its beginning. During the past 8 years he and Marilyn have been able to devote significant amounts of time to Management Society work. During this same time they have been involved in four part time LDS service missions that have helped to strengthen the chapter. During the past four years Chet has been a member of the World Wide Steering Committee of the Management Society. Brad Agle is currently the George W. Romney Professor at Brigham Young University, teaching ethics courses at the Romney Institute of Public Management. At Brigham Young, he serves on the MBA Committee and as the Council Chair of the Ethics Committee at the Wheatley Institution. He is also a member of the Ethics Committee for USA Synchro. 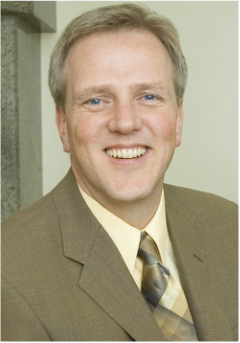 Before coming to BYU, Brad Agle was an Associate Professor of Strategy, Organizations, and Environment at the University of Pittsburgh, where he was also the Director of the Berg Center for Ethics and Leadership from 2000-2009. Dr. Agle has also served on the Advisory Board of Mosaica Education Inc., the Advisory Board of the Johnson Institute, the Board of Directors of the Oncology Nursing Society, the Executive Committee of the Social Issues in Management Division of the Academy of Management, the Executive Board of the International Association for Business and Society, as a Senior Research Fellow with the Ethics Resource Center in Washington, D.C., and as a judge for the American Business Ethics Awards. Prior to joining the Katz school faculty, he was the Arthur Andersen Fellow for Chief Executive Studies and Research Director at the Center for Leadership and Career Studies at Emory University (currently the Chief Executive Leadership Institute at Yale University). A top-rated and award-winning teacher and researcher, Dr. Agle teaches courses in business ethics and strategic leadership and has taught in Brazil, China, Britain, the Czech Republic, and Slovakia. His teaching brought the University of Pittsburgh the distinction of being the #2 ranked executive MBA program in the world in business ethics by Business Week. In the undergraduate area, Dr. Agle created the Certificate Program in Leadership and Ethics, the world's first integrated undergraduate specialty in ethical leadership in business. His work has been featured in various media outlets including the Wall Street Journal, Washington Post, USA Today, and CNN, and he has been a guest on CNBC's "Morning Call", "Power Lunch", and "Closing Bell". Richard Ang works with BYU International and domestic students in their international Internship and career aspirations for the last 12 years. Prior to this, he worked with Reader's Digest, CES, SQ Centre and Digital Equipment Corporations as a senior executives in Asia. He is happily marry with two daughters, one son, one son-in-law, one daughter in-law and two grandchildren. He likes science fiction stories. May the force be with you! Keilani Navalta Briones grew up in Laie, Hawaii and attended BYU-Hawaii. After serving her mission in Portugal, she returned to BYU-Hawaii where she met her husband. His commitment to “Return and Serve” lead her to his home country in the Philippines after graduating. While in the Philippines she came to fully understand the significance of the prophetic vision of BYU-Hawaii as they helped to build the church in various callings. Kei’s path lead her back to BYU-Hawaii being hired in Career Services. It is here that she helped organize the first CareerConnect trip, a program that continues to help students network and find gainful employment when they return home. She was then hired as Assistant to the Associate Vice Presidents for Instruction and Curriculum. In this role she assisted in the process of screening and hiring new faculty and standardizing major requirements across campus. Kei was hired in the Alumni and Career Services department as Alumni Manager in June of 2014. One of her main responsibilities include coordinating alumni engagement through mentorship and networking. Brian R. Carrington is the Real Estate Specialist for the Church of Jesus Christ of Latter-day Saints in the Asia Area. 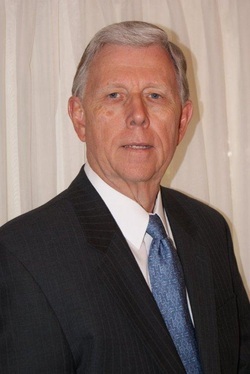 Prior to this, he served as the Director of Acquisitions for Temple sites and other special projects in the LDS Church, as associate secretary to the Presiding Bishopric, and as President of Property Reserve, Inc., the real estate investment portfolio for the Church. He has served on the Board of Directors for the Polynesian Cultural Center, United Way of Salt Lake City, and Envision Utah in Salt Lake City. Brian has had the privilege of reporting directly to the Presiding Bishopric and the First Presidency, leading teams assigned to explore alternatives today for Church assets which will impact decisions and choices for those assets in the future. Envision Hawaii, Envision New Zealand, Envision Florida, and Envision Utah were each special projects which attempted to look into the future and explore decisions we could make today which would enhance the value of Church assets for the future. He served in the Church as a full-time missionary in Mexico and again as a full-time missionary in the real estate investment department of the Church. 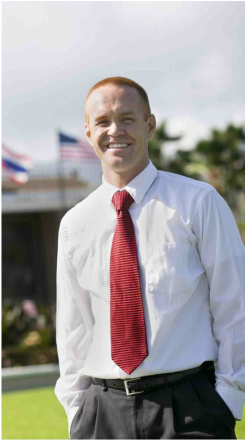 Brian earned an MBA from the Yale School of Management and taught Corporate and International Finance at BYU Hawaii. Brian and his wife, Jo Carrington, are the parents of four children and nine grandchildren. A successful entrepreneur with experience in international trade, manufacturing, global supply chain management, product development, and sales. Ross enjoys using his creativity, product & manufacturing knowledge, and retail experience to help customers create strong product plans and find solutions to make their global sourcing feel effortless. He is presently serving as the BYU Management Society Chapter President for Taiwan. Tim grew up in California then attended BYU-Hawaii where he studied Information Systems. 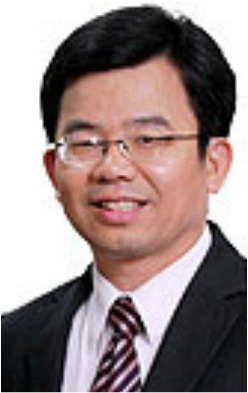 He worked for 9 years in the Information Technology field at Amgen Inc. and then US Department of Defense in Hawaii and then in 2009 relocated to Hong Kong to complete his MBA at the Chinese University of Hong Kong. 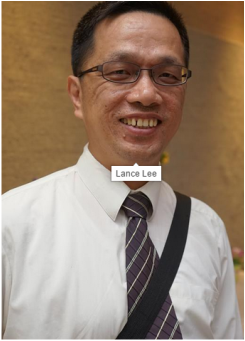 In 2011 he began working for The Church of Jesus Christ of Latter-Day Saints in Hong Kong as the Asia Area ICS (IT) Manager. He specializes in strategic ways to utilize technology to meet business needs. His job regularly takes him to countries such as India, Indonesia, Malaysia, Mongolia, Thailand, Taiwan and Vietnam. He and his wife Candy have 5 children, 3 boys and 2 girls. Timothy has been involved with the BYUMS in Hong Kong for five years and is now serving on the Regional Committee. Dr. Helena M. A. Hannonen is a Professor in Business Department at Brigham Young University Hawaii. Prior to her academic career, Helena worked in the corporate world in Organizational Effectiveness and Human Resource Development. She has held leadership positions in Fortune 100 corporations, as well as functioned as an external or internal consultant to businesses, government, and educational organizations. She has worked in Europe, South America, and the United States. She has been involved in social entrepreneurial projects throughout the world. Fluent is several languages she feels at home with people from different backgrounds. 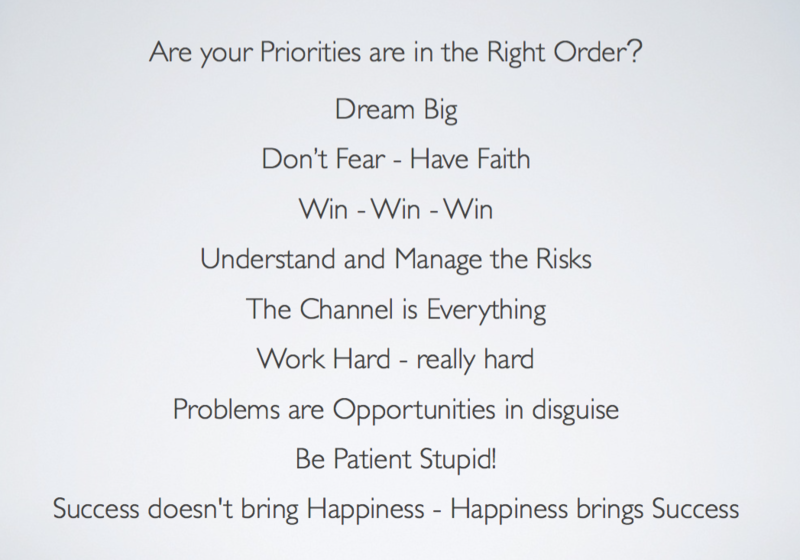 Her publications are in 50 languages coving topics from business to inspirational stories. Helena majored in math and sciences in Finland and pursued her further education in the United States. She holds a B.A. in International Relations and German, a Masters of Organizational Behavior from Marriott School of Management at Brigham Young University, and her doctoral studies focused in Complex Organizations and Ethnic and Minority Relations. She continues her involvement in Marriott School of Management at BYU by serving in the Global Steering Committee of the BYU Management Society, with responsibility over Asia-Pacific Region. Always ready for an adventure! Jake is an experienced educator, adviser, and networking professional with a passion for keeping it real! Expertise in language instruction, connections and work experience China, Taiwan, Korea at the university level. Loyal to a person, and never hesitant to prove his excellent work ethic combined with great customer service and of course, teamwork! Candy earned an MBA degree from Brigham Young University and a doctorate degree in Business Administration from the Hong Kong Polytechnic University. Besides her academic achievements, she also has over 15 years of executive and managerial experience in various forms of business, involving wholesaling, trading, retailing and online business. To use her own words, both of her “right brain and left brain function quite well.” She is creative and analytical and enjoys working with people. Candy loves the gospel, values integrity and continuously strives for excellence. She and her husband were sealed in the Hawaii Temple and are the parents of two daughters and one son. Rixa Clyde Oman has been the Assistant to the Dean and fourth Executive Director of the BYU Management Society since 1995. During her time as Executive Director, Rixa’s leadership has cemented the Management Society as an integral part of the Marriott School and built the society into a strong alumni and professional network. The number of chapters has increased from thirty to over ninety-five, and the signature vision of the Management Society was developed. Rixa’s passion for the Management Society is unparalleled and the work is a joy. She loves the professional and personal relationships she has gained and believes in the Society’s vision: growing moral and ethical leadership around the world. Rixa was raised in Logan, Utah, in the heart of Cache Valley. While attending Utah State University and majoring in mathematics, she met and married Lonnie R. Oman. Rixa left school and devoted the next twenty years to raising the couple’s six children. When their youngest child entered school, Rixa returned to school, enrolling at Brigham Young University to pursue a degree in English. She received her bachelor’s degree in 1991 and then began working in the Marriott School. She also continued her studies and received a master’s degree in English, with an emphasis in American Literature, in 1998. Rixa and her husband, Lonnie, live in Mapleton, Utah, where they enjoy spending time with their children and thirteen grandchildren. Native of Provo, Utah, Mark has lived in Laie, Hawaii for the past two years where he now works as BYU-Hawaii’s director of Alumni & Career Services. He enjoys serving students and trying to solve the large-scale challenges related to placing them in meaningful careers, alongside a group of teammates he considers to be his personal friends. Mark studied at BYU where he received a master’s in public administration and nonprofit management, and thereafter worked as a data analyst for LDS Philanthropies. He attributes his personal successes to his wife Jessica, who is currently in the process of raising him and their four children. His family and his faith are his most cherished possessions. He enjoys learning about behavioral economics, mathematics, decision making, machine learning and technology. He aspires to become an inspiring friend to all whom he meets. As a young man, Perry served an LDS Church mission in the Japan West Mission. 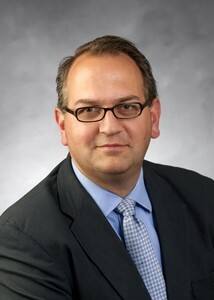 He was associate dean of the Marriott School of Management at Brigham Young University (BYU) from 1998 to 2005. From 1991 to 1994, he served as president of the BYU 3rd Stake. From 2005 to 2008, Perry was president of the California Roseville Mission, and from 2010 to 2014 he was a member of the general board of the LDS Church's Sunday School. Perry wrote the words to "As Now We Take The Sacrament", which is hymn number 169 in the 1985 English LDS Church hymnal. Perry holds a doctorate in administration sciences from Yale University and has 30 years of experience as a professor, consultant, administrator, entrepreneur and corporate board member. On July 1, 2013, Perry was appointed dean of the Marriott School of Management at BYU, succeeding Gary C. Cornia. Perry and his wife, Carolyn, are the parents of six children. Jui-Chang Juan grew up in Taichung, Taiwan. He graduated from Taichung 1st High School, and furthered his studies in English graduating from BYU-Hawaii. He has been involved in English education since returning to Taiwan teaching and handling the foreign exchange program at Ming-Tao Middle School in Taichung and also started his own private school - IOU Learning Center. He is currently a speaker for DoTerra. Due to his career success, he was also awarded Genuine Gold Award by BYU-Hawaii. Other than his pursuit of English, he also enjoys studying market development and human relations. In his spare time, he enjoys being in nature, learning and appreciating music. Reading books that enhance our minds is his joy. Jui-Chang Juan and his wife, Chia-Hsiu Tsai, have two sons, two daughters and two grandchildren. Marketing Manager at BSB Services LTD.
BSB Service LLC is the biggest retailer of consumer electronics, IT and furniture in Mongolia, accounting for 33% of the market. It has the most chain stores (megastore and superstore types) and nationwide distribution system. The company is the sole distributor of Electrolux, Sony, Panasonic, Samsung, Indesit, Fagor, Toshiba, Casio, Nikon, Acer, LG, Dicota, Opti-UPS, Kyocera, NEC, Black Red White,REAIM, KAM a distributor of Apple, Prolink, D-Link and offers many other brands. BSB Service LLC has been named (25th) one of the Top-100 Companies of Mongolia in 2012 and for last 12 consecutive years. Planned multi-millions budgets for marketing campaign and activities. Trained, organized and supervised employees on a weekly basis for the purpose of conducting promotions, gave guidance and training to all branches helping them achieve their goals. Developed yearly promotion and marketing plans for company top brands such as Samsung, Panasonic, Apple, Acer, Toshiba, AEG Electrolux, LG, Indesit, Black and Decker, Dewalt, Kyocera Mita, JVC, HP, and Dell. Opened of 3 new megastores in 2010; stores opened successfully. As team leader increased our sales by 30% with resulting TOP-40 BUSINESS OF MONGOLIA in 2009. As a team awarded TOP-10 ENTREPRENEURS IN MONGOLIA 2007 and increased sales by 34%. Based in Singapore, Patrick has responsibility over Australia, Asia and Pacific Islands. He travels extensively to some of these countries. He has over 30 years of experiences in banks and insurance companies. Prior to joining ANZ Bank, Patrick was with Cigna International, a major US healthcare company, where he held various executive roles and worked in Singapore, Korea, Indonesia, Thailand and China. His last appointment was Operations Director of their China operation. Patrick is married to Jessie and together they have 3 children. The eldest, Su Min, served a mission in Temple Square and is currently working for PwC as an auditor. The second, Fred, recently completed his mission in London, and just started school in BYU Provo. The youngest, Ryeson, is in equivalent of Grade 12. Patrick is passionate about people development and has served as mentor and assessor in several talent management programs. Patrick joined The Church of Jesus Christ of Latter-Day Saints in 1984 as a convert and has held various callings in the Church. He is currently serving as the Young Men President in his Ward. Patrick is a social golfer, a triathlete and a marathoner. After living in the States for 10 years, Annie suffered from some kind of “reverse cultural shock” when she returned home to Hong Kong in 2012. Although living abroad might have westernized her a little bit, what remains the same is her strong interests in writing, languages, and cultures. No matter where she is, she strives to serve her community and loves interacting with people from different backgrounds. During those 10 years in the States, Annie earned a degree in public relations from Brigham Young University, served a mission at San Diego, and worked as a communication specialist for several high profile transportation projects in Utah, including the I-15 CORE project. These experiences gave her the knowledge and skills to use different communication tools in professional settings. She now works for The Church of Jesus Christ of Latter-day Saints in the Asia Area Office. As the Executive Assistant to the Director for Temporal Affairs, she coordinates different cross disciplinary projects, helping synergize combined efforts to help establish the Church in Asia. Annie has been involved with the BYU Management Society for the past three years, and is now the president of the Hong Kong Chapter. 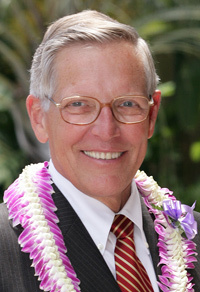 A man internationally known for his ability to solve complex managerial problems and foresee future business trends will be taking his expertise to the Pacific as the new president of Brigham Young University-Hawaii. Elder Eyring said this will be an invaluable gift when Wheelwright takes the reins at BYU-Hawaii, with so many changes taking place in the Pacific Basin and Asia, where most of the university’s students hail from. The university educates 2,400 students each year from 70 countries. Prior to his retirement from Harvard in the fall of 2006, Wheelwright was a Baker Foundation professor and senior associate dean and director of Harvard Business School’s publication activities. In that role, he served as the chairman of the HBS Publishing Company. He also oversaw major on-campus construction projects. In his years away from Harvard, he was the Kleiner, Perkins, Caufield and Byers Professor of Management at the Stanford University Graduate School of Business. Wheelwright has also written several books with colleagues including Kim B. Clark and Clayton M. Christensen. His books include Strategic Management of Technology and Innovation, 4th ed. ; Operations, Strategy and Technology — Pursuing the Competitive Edge; and Dynamic Manufacturing: Creating the Learning Organization. As a young man, Wheelwright served the Church as a missionary in Scotland. He later served as a mission president in London from 2000 to 2003. He has been a counselor in a stake presidency, a high councilor and a bishop. Since leaving Harvard, he and his wife have been service missionaries at BYU-Idaho. Wheelwright grew up in Salt Lake City and is a cowboy at heart. He owned a cattle ranch in Star Valley, Wyoming, and currently keeps horses and cattle at his home in Oakley, Utah. He and his wife are the parents of 5 children and have 15 grandchildren.